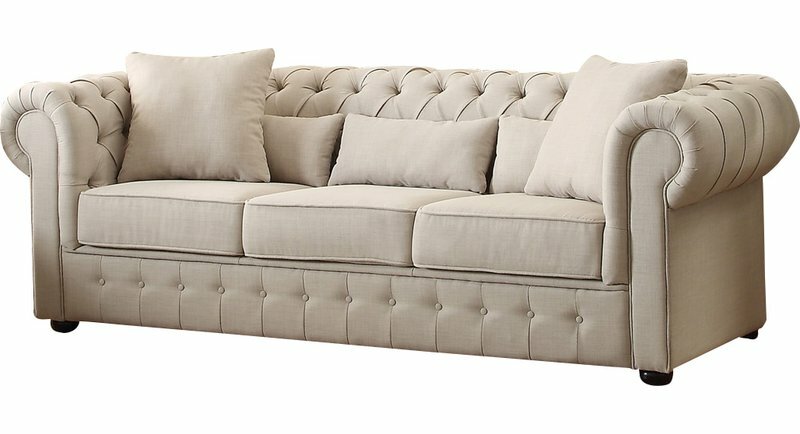 If you’re going for the Farmhouse style look in your living room, then you may be on the hunt for the perfect farmhouse sofa. 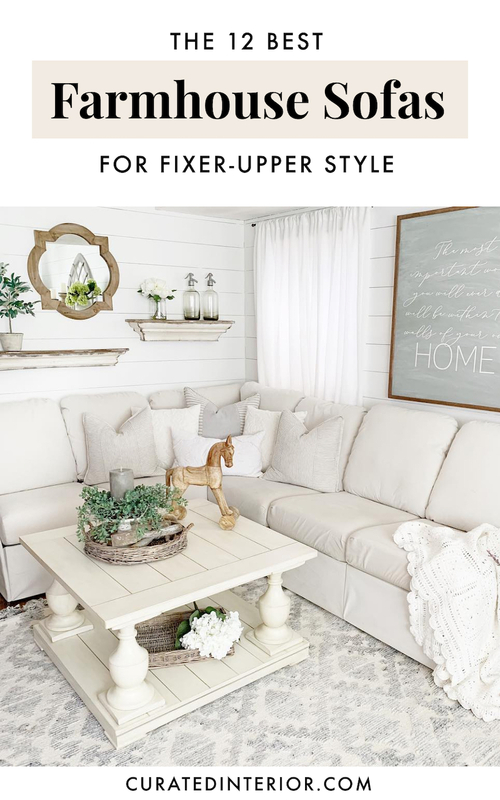 Joanna Gaines popularized the homey, farmhouse decor style look with her immensely popular HGTV show, Fixer Upper. Since then, millions of Americans across the country can’t get enough of this classic Americana style in their homes! 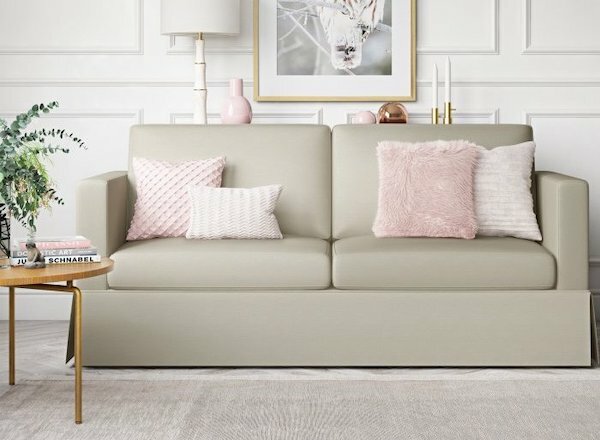 Of course, not everyone has the budget of a national TV star, so today I’m excited to share some ideas for getting an affordable farmhouse sofa for your home! 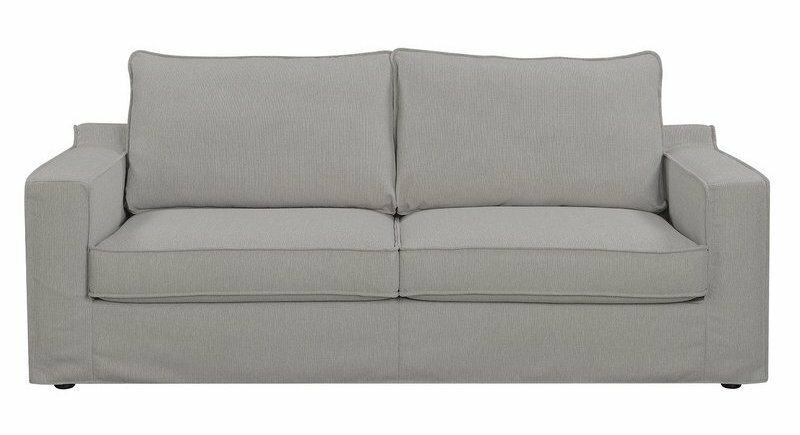 I’ve included options for all types of budgets so anyone can get the perfect Farmhouse sofa for their own home. 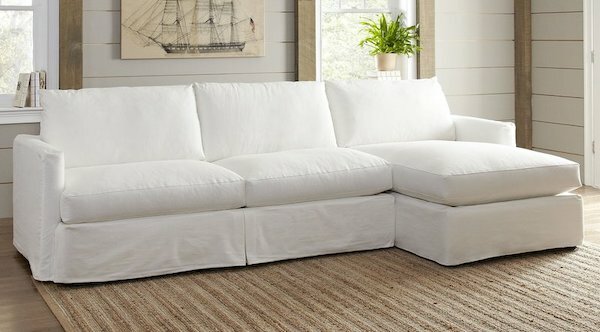 What is a Farmhouse Sofa? 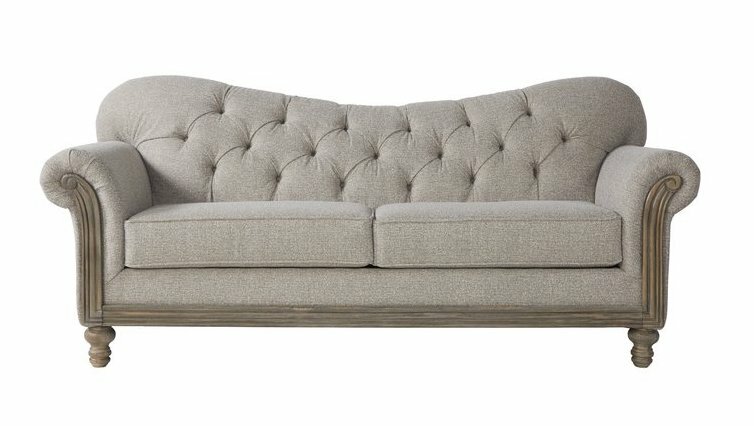 So what does a farmhouse sofa look like, exactly? Well, there’s no one answer to that question, which is a good thing! 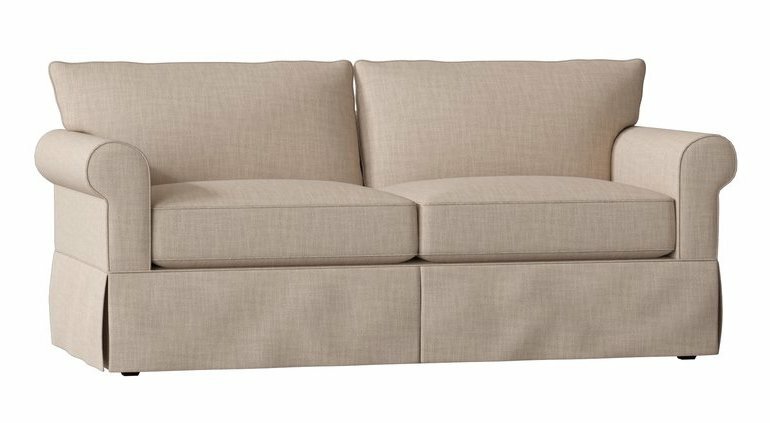 You have a couple different options to choose from, so you can select the best fitting farmhouse sofa for your home. Now, obviously these traits are not always mutual! You most often see each of these traits individually rather than all together in one sofa, but occasionally they do mix. 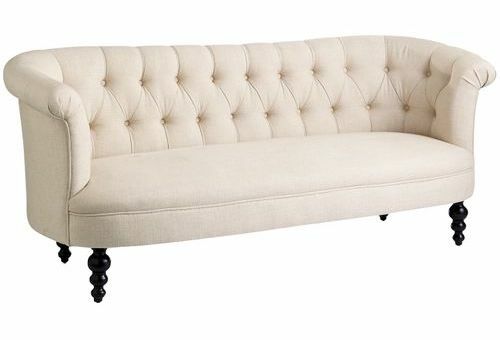 These are the best budget farmhouse sofas we found. They’re all super affordable, coming in at less than $700 each! 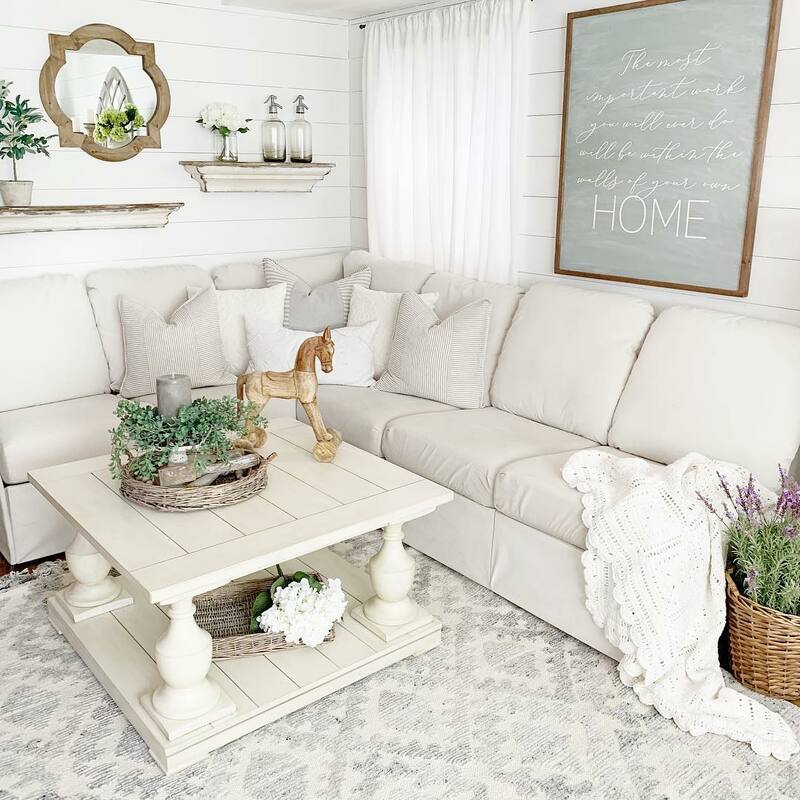 You can get the farmhouse chic look in your living room on a budget. 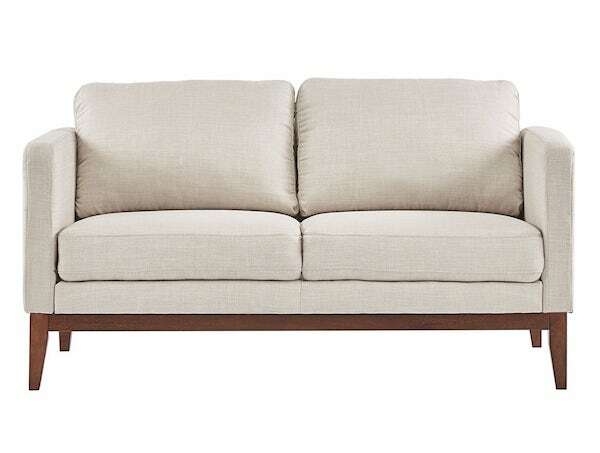 These mid-range farmhouse sofas offer a nice balance between price and quality. They’re great for starter homes and small families. 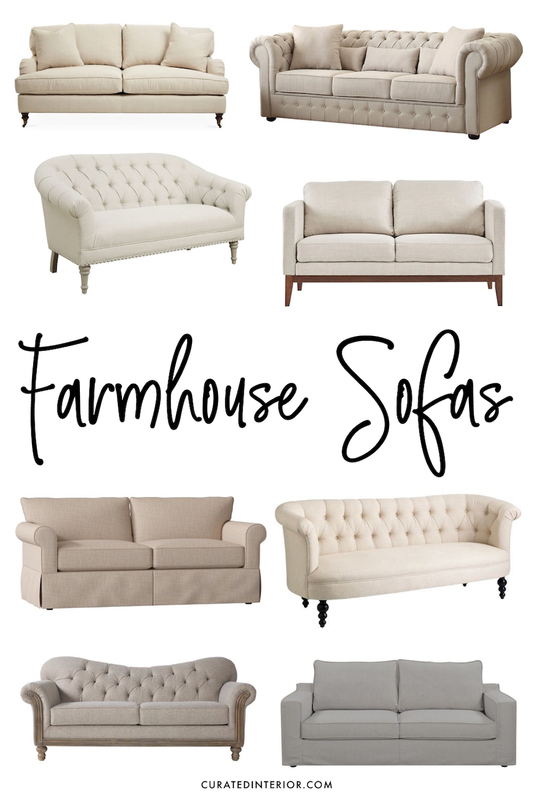 If you have a large family or are looking to invest in a quality farmhouse sofa, then these are the ones I would recommend considering! 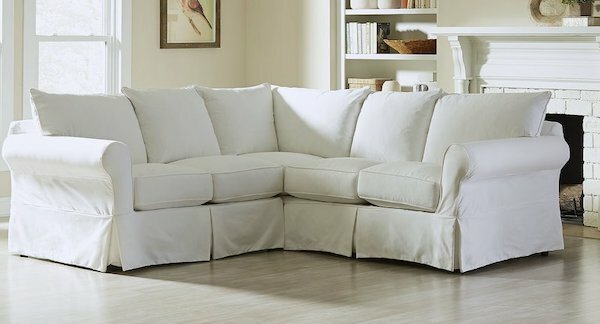 You may have to spend a bit more, but the extended lifespan of the sofa should outweigh the initial costs. 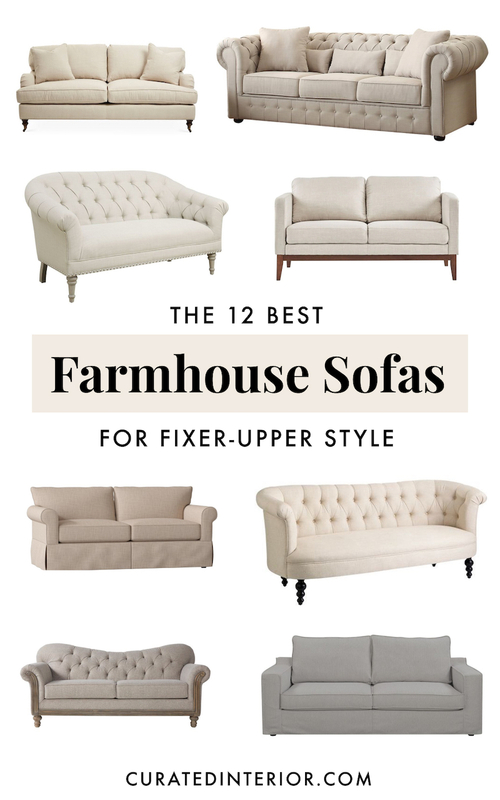 I hope this post was helpful in choosing the best farmhouse sofa for your home. 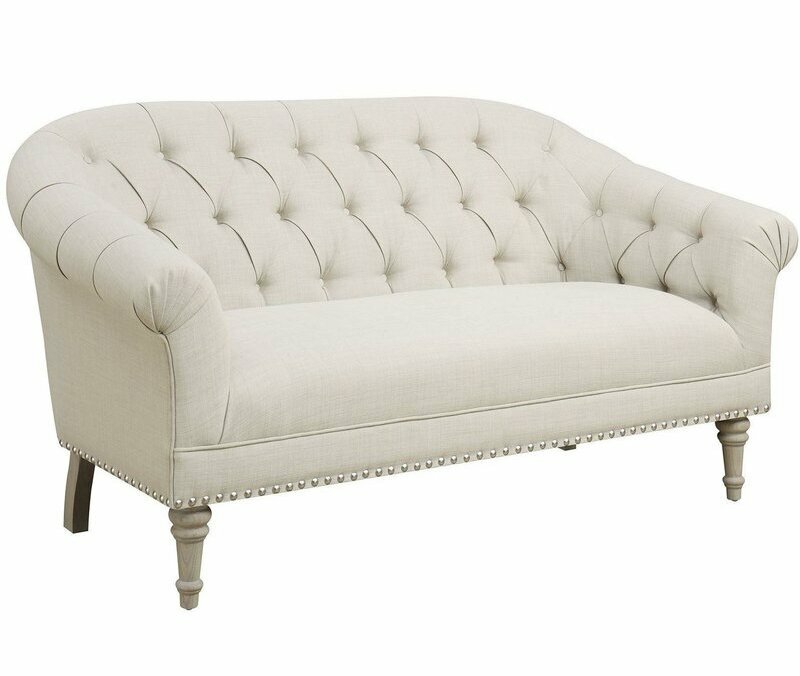 Do you have any suggestions on where to purchase Farmhouse style sofas? I’d love to hear your thoughts in the comments. As always, you can tag us on Instagram to share (@curatedinterior)!